Like many people across the country we have had a fruit glut this year and we have been looking at different ways of storing the fruit for the winter. One exciting way of storing fruit is immersing it in alcohol, we have made sloe gin in the past but this year we are experimenting with a number of other methods including Rumtopf. This is a German recipe and traditionally is started in the summer and is opened at Christmas. There are many recipes which you can find online eg German Food. 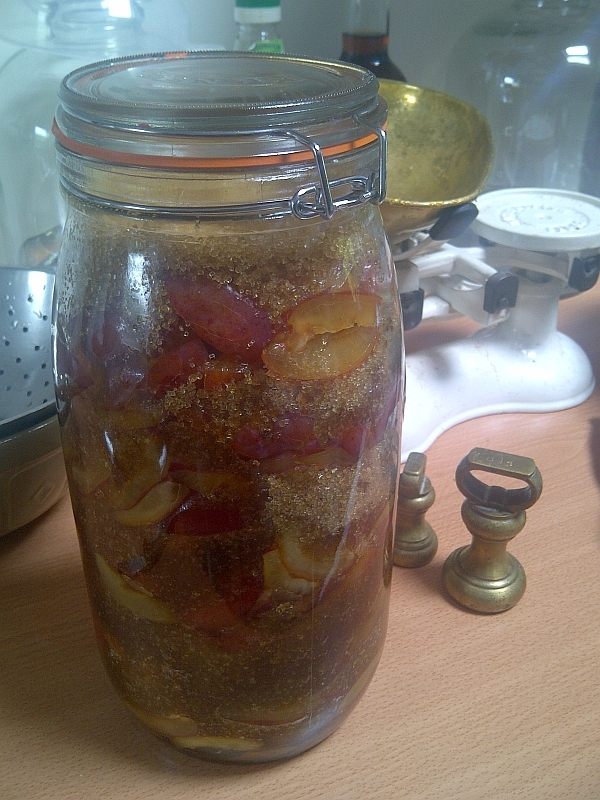 In the absence of one large container we have made it in a number of smaller kilner jars. It looks absolutely fantastic and I can’t wait to try it at Christmas!